Disaster Anthropology is a rapidly growing aspect of anthropology’s applied/engaged focus. This approach directs our attention to the ways risk and vulnerability are disproportionately experienced by cultures and societies during disaster events. It also offers ethnographically-based solutions to reconnecting local victims with non-local agencies before, during, and following such events (e.g., hurricanes, firestorms, earthquakes, reactor meltdowns). This post includes a web map and links to oral histories collected as part of my 2013 Disaster Anthropology course offered at Monmouth University, in preparation for me offering this course at the University of Central Florida in fall 2018. 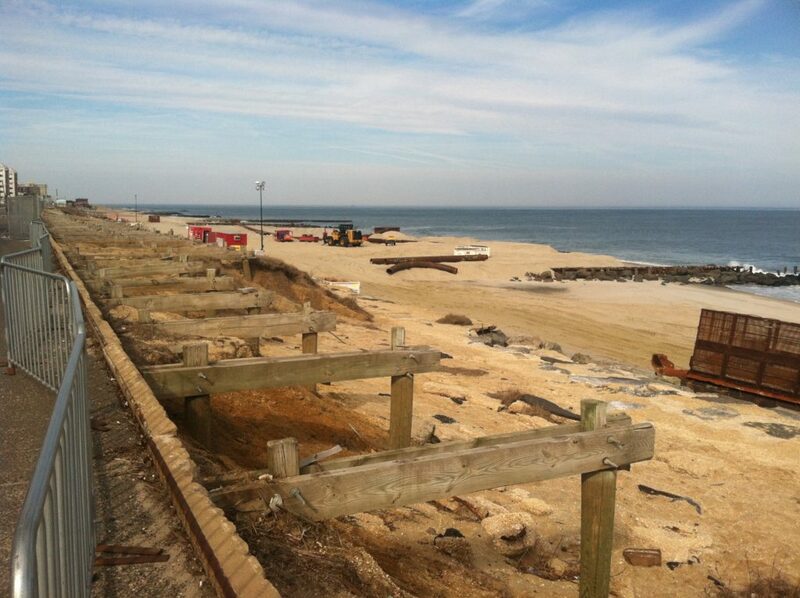 Boardwalk restoration efforts in Long Branch, New Jersey following Sandy. I developed the Hurricane Sandy Oral History Project (HSOHP) project in response to Hurricane Sandy’s impact on coastal New Jersey in 2012. The project was approved by the Monmouth University Institutional Review Board (IRB). Undergraduate and graduate students joined the project, and several went on to work with their local Office of Emergency Management (OEM), FEMA, or pursue further graduate work in disaster anthropology. Both the 2012 and 2018 courses ask students to adopt a Forensic Investigations of Disaster (FORIN) framework while analyzing a specific disaster. As part of this work, each student collects directed interviews with those who experienced the event. The interviews collected following Hurricane Sandy included students, educators, first responders, local citizens, and municipal leaders. These interviews have been utilized by researchers as part of larger studies, and I have made them available here to aid others. If you use them, please let me know. You can access the transcripts of these interviews using the web map below.